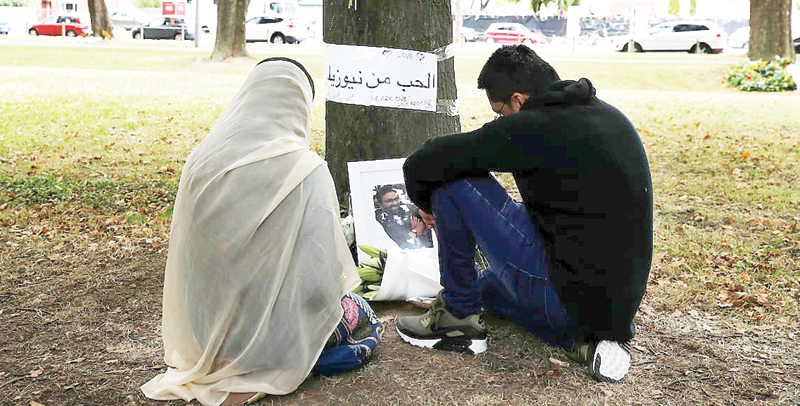 People visit at a memorial site for the dozens of people killed at the Al Noor mosque in Christchurch, New Zealand. The accused shooter will face 50 murder charges. NEW ZEALAND: The man accused of attacking two mosques in Christchurch last month will face 50 murder charges when he appears in court on Friday, New Zealand police said.